Aegion Energy Services is a full-service provider of engineering, procurement, construction, maintenance, turnarounds, and safety services. Brinderson, AllSafe, and Schultz Industrial Services are part of the Aegion Energy Services platform. Brinderson focuses on large oil and gas customers in the Western United States. AllSafe offers safety services including safety professionals and safety attendants, and Schultz provides construction, maintenance, and turnaround services to a variety of process industry clients. Anvil is a 100% ESOP-owned corporation providing full-service engineering, design, procurement, and project management services. We were founded in 1971 on a belief that when service providers meet or exceed client expectations, they will be rewarded with more work. Operating as Anvil Corporation in the United States, Doyon Anvil in Alaska, and Anvil Engineering Corporation in Canada, Anvil serves clients throughout the Western and Central U.S., Hawaii, Alaska, Canada, and provides niche services to projects throughout the U.S. and globally. Barnhart Crane and Rigging Co.
Barnhart was founded in 1969 in Memphis, Tennessee, as a small family-owned business. While we are still a family-run company Barnhart has grown to be one of the largest Heavy Lift and Heavy Transport organization in the United States with more than 40 locations across the country and a nationwide reputation for solving problems. Barnhart provides world-class service through a local presence. Operated crane rental, rigging services, outage planning, specialized solutions for component replacement, industrial storage and national project cargo logistics all combine to ensure Barnhart's customers receive the lowest total project cost. Barnhart also boasts one of the largest engineering teams in the industry — including a full R&D department — driving innovation across all services. Full service equipment provider for Contractor, Manufacturing, Industrial, Government, Emergency Services, Military & Home Improvement needs. 88th Largest Equipment Rental & Sales Company in the United States. 24 Hour Service ﾖ Remote to Urban. DBE & WBE Certified. An American Company Established in 1972. 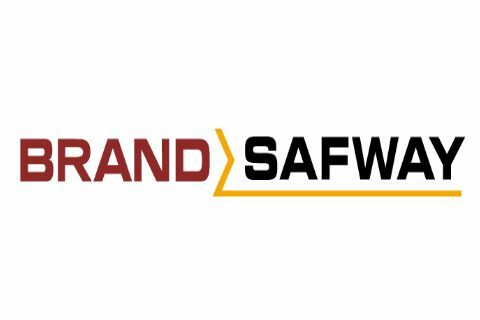 BrandSafway is a leading global provider of access, specialized services, and forming and shoring solutions to the industrial, commercial and infrastructure end markets. At Brand Energy Solutions, we offer scaffold, insulation, asbestos abatement, and coatings services to support routine maintenance, capital projects and turnarounds. Electrical Contractor for commercial, industrial, high voltage utility and renewable energy projects. Our work includes electrical, low voltage structured cabling, lighting, and instrumentation calibration & process controls. Coffman Engineers is a multidiscipline engineering firm that brings creativity to our designs, proven results in practical engineering solutions, and all of this is reflected in the lasting relationships we have with our clients. At Coffman, we serve as both prime consultant and sub consultant on projects large and small, including industrial, and project/construction management. Established in 1979, we now have 14 offices providing multidiscipline engineering and project management support to clients throughout Washington and the United States. We provide civil, structural, mechanical, electrical, control system, and corrosion engineering, as well as project management, procurement assistance, and construction management services. Our industrial clients include the oil and gas industry, refining, manufacturing, and the power generation industry (diesel, coal, gas, renewable), where we typically operate as the prime consultant. We also serve the vertical construction industry (private, federal, state) as a subconsultant to architects. Design Group operates from over 40 global offices in the US and India providing Engineering and IT consulting to the world’s leading companies through the efforts of over 1400 engineering and technical specialists. Design Group professionals have direct industry experience with industrial automation, process engineering, regulatory compliance and systems integration. Design Group provides professional engineering, architectural and construction management services through our wholly owned and professionally licensed subsidiary, Design Group Facility Solutions, Inc.
Dunkin & Bush is a service-oriented company offering a full range of industrial coating and lining applications, scaffolding, insulation, lead abatement, fireproofing, consulting and NACE inspection services. We are an industry leader in shutdowns and turnarounds, completing our work on time so you can get on with yours. With 70 years of experience under our belts and through four generations of the Dunkin family, we have earned a reputation for performing quality work, safely and at the best value. Our stability and financial strength ensure that your project is completed effectively and efficiently. What's more, our experience with a broad array of industries means better solutions for you. We've worked in every major industrial environment, including petrochemical, pulp and paper, food processing, electronics, manufacturing, and power generation, as well as on numerous bridges, stadiums, and other structures. For over 140 years, Eichleay companies have developed a wide range of project delivery expertise. This legacy continues today with Eichleay, Inc. which specializes in the design and construction of industrial process, manufacturing, life science, and high technology facilities. Our experienced, dedicated team develops custom-tailored solutions that meet your complex needs, helping you save time and money and maximize the efficiency and effectiveness of your operations. Fluor is one of the world's largest publicly-traded engineering, procurement, fabrication, construction (EPFC) and maintenance companies, offering integrated solutions for Clients’ complex and challenging capital projects. National heavy civil construction contractor with regional offices and teams throughout Washington state. We serve both the public and private sector clients. Within the public sector, we primarily concentrate on infrastructure projects, including the construction of roads, highways, bridges, dams, canals, mass transit facilities and airport infrastructure. Granite is currently the design-builder of two WSDOT Design/Build projects - Joe Leary Design Build (north of Mt Vernon, WA) and the SR 520 Eastside Corridor Design Build (the east approach to the 520 Bridge between Seattle and Bellevue). Within the private sector, we perform site preparation, environmental remediation, residential development, commercial and industrial building site work and large and small asphalt paving projects. Greenberry Industrial is a major industrial general contractor with fabrication services servicing the petrochemical, power, chemical, alternative fuels, metals, pulp & paper, food, and high technology industries. Greenberryﾒs field services include boiler making, concrete, heavy rigging, millwright & equipment installation, piping, steel erection, and project management. Fabrication services include pipe spooling, pressure vessel design and fabrication, structural steel fabrication, module fabrication and assembly, material handling systems, fabrication of most alloys, and in house detailing. Greenberry is licensed in WA, OR, CA, ID, NV, MT, and TX and certifications include ASME, U, PP, R, and A. Website. Harris is a leading national mechanical contractor specializing in design and engineering, construction, controls, service, manufacturing, conveyors and end-to-end building systems. Since opening our doors in 1948 in St. Paul, Minnesota, we have grown to 10 regional offices and more than 1,600 employees. One regional office is in Bellingham, WA, which operated for over 100 years as Diamond B Constructors. Industrial contractors located in Bellingham, WA since 1890. Specializing in industrial general contracting, construction management and planning for projects in the petrochemical, oil & gas, power, process and renewable energy sectors. In addition we perform ASME code work, as well as piping and vessel installation. Our Steel Fabrication services include pipe spooling, pressure vessel design and fabrication, structural steel fabrication, module fabrication and assembly, material handling systems, fabrication of most alloys, and in house detailing. Company licensed in WA, OR, CA, MT, NV, and AK. Much has changed since L.H. Hoffman Company began building houses and schools in Portland in 1922. If founder Lee Hawley Hoffman were around today, he would find an industry transformed by new technologies, construction methods, project types, and safety practices. We like to think he’d be proud to see that Hoffman Corporation is now one of the largest general contractors in the United States and has completed some of the most challenging projects in the world. Being a good partner is about more than meeting schedules and budgets. Today, it means collaborating with owners, architects, and the community to enhance every aspect of the project. Supported by the latest technology, deep in-house resources, and an old-school work ethic, Hoffman’s comprehensive services maximize value for our customers. From solving the toughest technical challenges to building a diverse workforce, we focus on making every project the best it can be. I.C.E. Professional Services is a project controls organization with a strong background of providing the highest level of quality service to our clients. Our highly skilled employees are available to work as turn-key project control teams or as independent resources to supplement our client's needs. It is I.C.E. 's goal to become the preferred provider of project controls services with continued growth in all regions of the U.S. Our systems and best practices are industry leading and aimed at providing client support by delivering excellent performance in safety, quality, duration, cost and reliability through advanced project control, as well as our other support services. IMCO is a dynamic group of professionals who are driven to be the best in the business in every sense; performing dynamic, challenging, complex projects; always striving for excellence; and forging strong, trusting relationships along the way. We rise to new challenges every day. Provides general mechanical contracting services throughout the Western and Central United States. Primary industries served include: pulp & paper, oil & gas, semiconductor, metals, chemicals and food process. Kestrel is an industrial process facilities engineering and design firm providing multi-discipline engineering, project management, procurement support, construction coordination, and startup / commissioning support for our clients. Leewens Corporation is a professional Industrial Contractor in business since 1976 specializing in Floor Coatings, Composite Fiber Strengthening, Epoxy Injection, Concrete Repair, Plastic Liners, Waterproofing and Roof Coatings/SPF. Our vision is to be a world-class provider of quality construction, service and products to the markets we serve. Mills provides complete electrical solutions to our clients. Some of those services include, planning and preconstruction, virtual design, prefabrication, 24hr maintenance/service, turnaround, new construction, instrumentation and technologies. Mills serves a diverse group of industries including refinery, manufacturing, waste water, pipeline/pump station, education, healthcare/bio facilities, government and mixed use/specialty. Olsson Industrial Electric is a professional provider of all phases of electrical engineering, installation and instrumentation. From high-voltage installations down to the operator's computer terminal, Olsson Industrial Electric can design, build and install your complete system. PCL Construction Services, Inc. is the U.S. buildings construction company with full services regional offices in Washington, Florida, Minnesota, Arizona, California, and Hawaii. With a 110 year performance history that reflects an impressive range of construction experience and services, PCL is one of the largest most experienced construction firms in North America. Currently, the firm performs over $7B annually in almost every area of construction activity including general and specialized building, industrial, highway, marine, heavy civil construction and special project teams with diverse expertise to accommodate requests for non- standard building challenges. As a single point of contact, PCI makes your job easier – adding value to your project by combining our services to create a custom solution. With 60+ years of extensive insulation installation knowledge and experience, PCI provides quality workmanship, superior project management and exceptional safety performance. 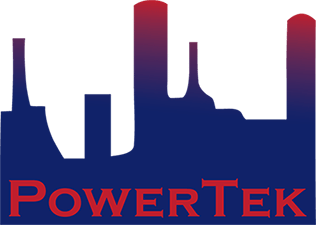 Bellingham and Greater Whatcom County Engineering, Land Surveying and Construction - PowerTek is a Pacific Northwest company, established in December 1999 as an Industrial Electrical Construction Company. In the 17 years since our beginnings, we have added additional services to our business to become a fit-for-purpose firm, able to take projects from Concept to Completion via our professional Construction, Electrical Engineering, and Surveying branches. Skanska USA is one of the largest, most financially sound construction and development networks in the country, serving a broad range of industries including healthcare, education, sports, data centers, government, aviation, transportation, power, energy, water/wastewater and commercial. Skanska has worked in the Pacific Northwest since 1946 and has offices in Portland and Seattle. Headquartered in New York with 36 offices across the country, Skanska USA employs approximately 9,400 employees committed to sustainable construction and development and an injury-free workplace. Skanska USA Building, which specializes in building construction, and Skanska USA Civil, which focuses on civil infrastructure, generated $4.9 billion in revenue in 2011, representing 28 percent of Skanska\'s global construction revenues. Development units Skanska USA Commercial Development, which invests in and develops office and multi-family projects in select U.S. markets, and Skanska Infrastructure Development Americas, which develops public-private partnerships, are both leaders in their selected markets. Global revenue of parent company Skanska AB, headquartered in Stockholm and listed on the Stockholm Stock Exchange, totaled $18.9 billion in 2011. Since its inception in 1946, VECA Electric, Inc. has been a mainstay in the Washington Construction Industry. VECA has performed virtually all types of electrical construction from heavy industrial to high-end residential, making it one of largest and most diversified electrical contractors in the state. Services Provided include new construction, tenant improvements, design/build services, consulting, custom electrical installations, electrical safety instruction, and general electiral industry applications of all types. VMS offers a broad range of services to help our clients improve the value of their projects, goods, and services. This includes value engineering, risk analysis and risk management, business process improvement, strategic planning, decision support, program development, project management, and other related value-improving practices. WRS is a local Ferndale based company that has been doing business in the local refineries as well as other industries in the Pacific Northwest for more than 20 years. Excavation, asphalt paving, concrete work, land clearing, fencing, site preparation, demolition, environmental cleanup and transportation services are just a few of the services we provide. This diversity of our work gives us the ability to self-perform a large percentage of our work allows us to maintain better control of safety, budget, schedule and quality.